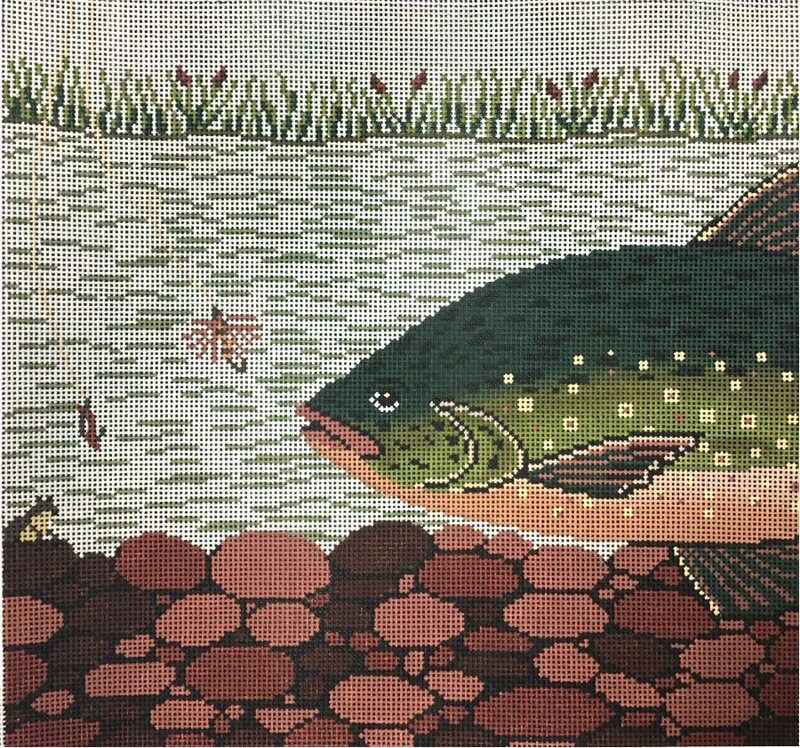 A Cooper Oaks needlepoint design featuring a trout in a river about to gobble up a fly. The design area measures 12" x 12". If you require stretcher bars we recommend two sets of 16" and some thumb tacks. The design is handpainted onto 13 mesh mono needlepoint canvas. You can buy this fish needlepoint design as canvas-only or as a needlepoint "kit" with cotton, wool, or silk threads. We supply enough thread for stitching in needlepoint basketweave stitch. If you think you will need more thread than this then please let us know and we will make every effort to accommodate you. Usually ships within 1 week. If it is out of stock it will take 3-4 weeks and you will be notified (and you can cancel your order).